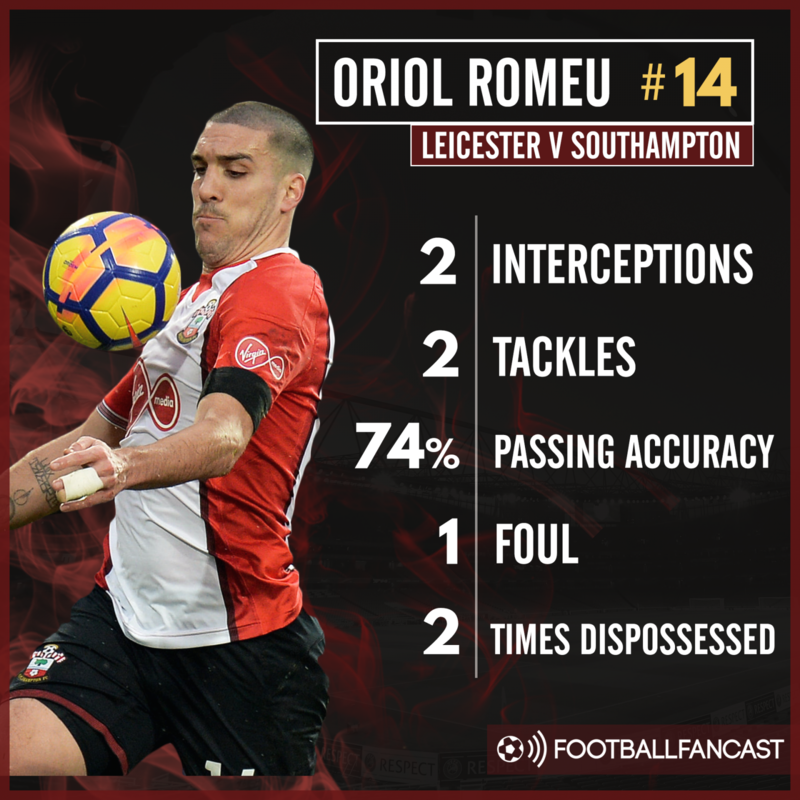 Southampton fans were full of praise for midfielder Oriol Romeu as he won the club’s Player of the Year award just under 12 months ago, but he is one of a number of Saints players who have suffered a significant drop in performance and fall from grace since then. The 26-year-old was an indispensable, all-action player in the centre of the park for the south coast outfit back then, and was never afraid to use his strength or make a tackle to win the ball back, while he was often handy in possession. The same can’t be said of the Spaniard – just like many of his teammates, including Mario Lemina and Sofiane Boufal with fans on Twitter suspicious of their latest absence – this term, as Mark Hughes’ men remain on course to suffer relegation to the Championship after four consecutive top-eight finishes. Southampton had the opportunity to close the gap to 17th-placed Swansea City to just two points with a win against Leicester City at the King Power Stadium on Thursday night, but they failed to do so with Romeu far from impressive alongside Pierre-Emile Hojbjerg. The former Chelsea man only made two interceptions and two tackles all game, with one of the latter resulting in a foul. Meanwhile, he was also dispossessed on two occasions and ended the game with a passing accuracy of just under 74% – much lower than the 84.2% he averaged last season, as per WhoScored.com. Romeu was certainly overshadowed by Foxes midfielder Wilfred Ndidi, who made six tackles, six interceptions and won six aerial duels throughout the 90, all while having a passing accuracy of 81%. Southampton certainly need their man to find some confidence and start to replicate those sort of statistics in the south coast outfit’s final four matches of the season if they are to escape the drop.